Home / How Stuff Works / Interesting / Kids Toy / Mattel / See 'n Say / Tip of the Day / Toy / How does a "See 'n Say" work? How does a "See 'n Say" work? 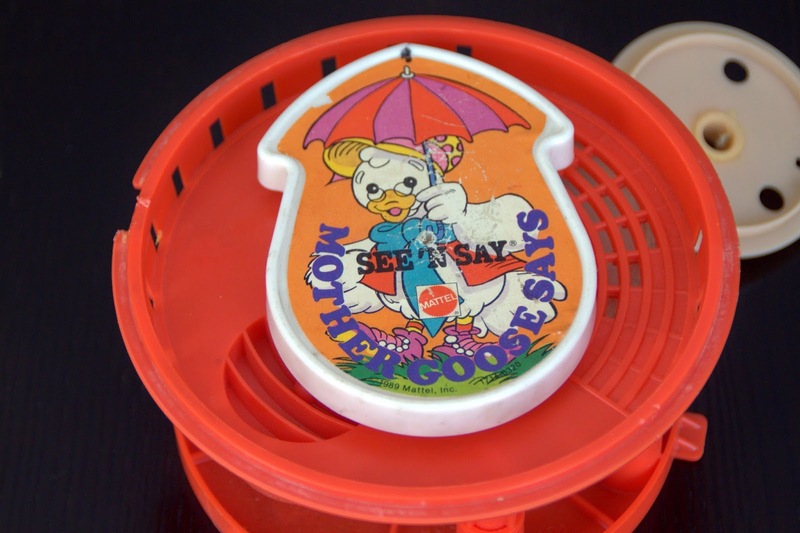 If you grew up around the 1960s to the 1990s, chances are pretty good that you grew up with a See 'n Say. 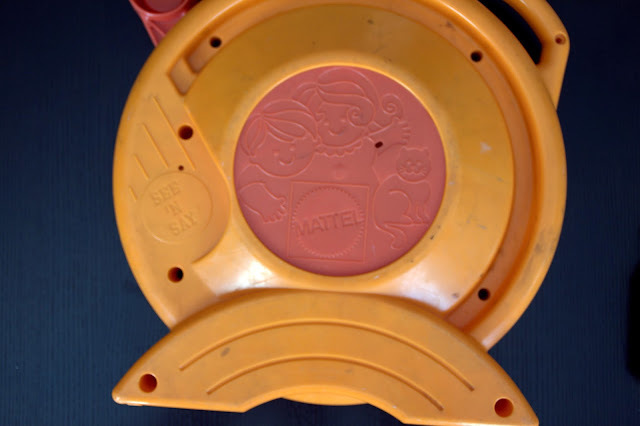 This toy from Mattel had the ability to talk, play a song, or make animal sounds when you pulled the cord or pulled down on the lever. 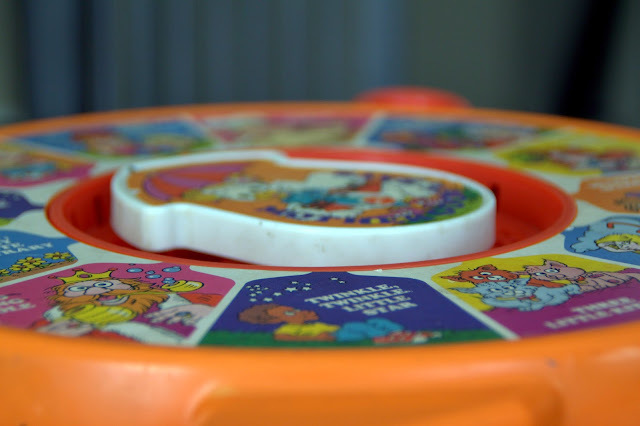 Not only would it do this all without batteries or electricity but it would also accurately play the right track according to where it was pointing. So how exactly does this seemingly magical device work? I was fortunate enough to find this See 'n Say at a thrift store for $1. 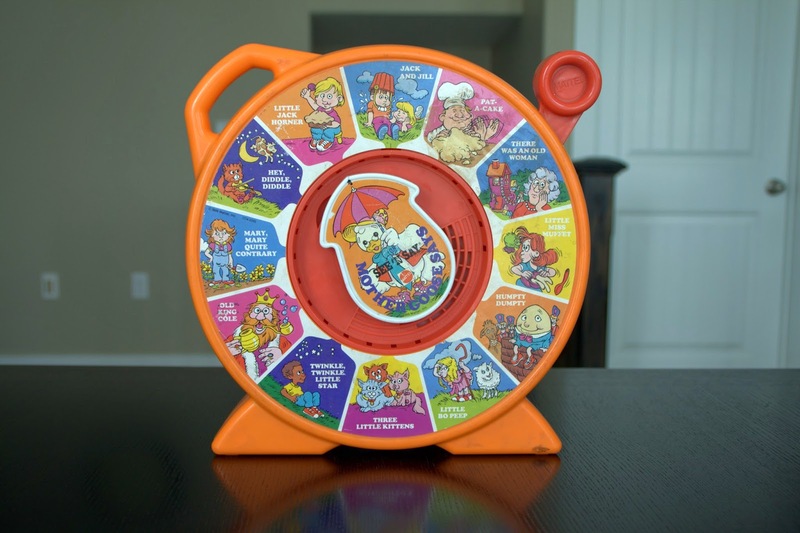 I remember always having one while growing up, so I decided I would buy it so I could take it apart to see how it works. The awesome See 'n Say! 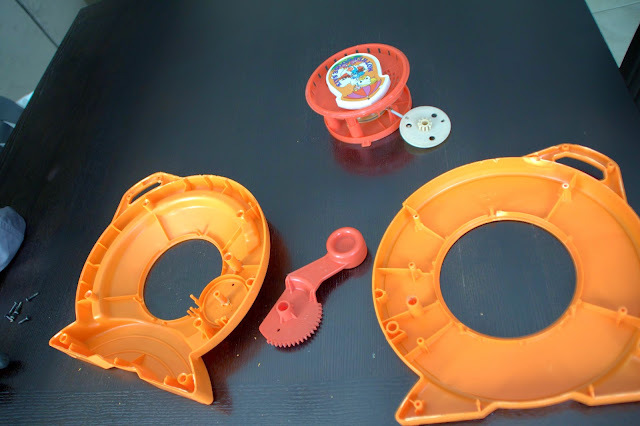 One thing that surprised me about the See n' Say was just how difficult it was to take apart. It really is a quality product. I suppose it must be top notch to withstand the destruction that a toddler can impose on a toy. Step 1: Remove all the screws and pull apart (easier said than done). Once I got the See 'n Say apart I could see how small the actual working mechanism was. Most of the See 'n Say is just plastic housing to allow for large decals that lets the kids know what the toy will say. "Power" is supplied to the See n' Say by pulling down on a lever. 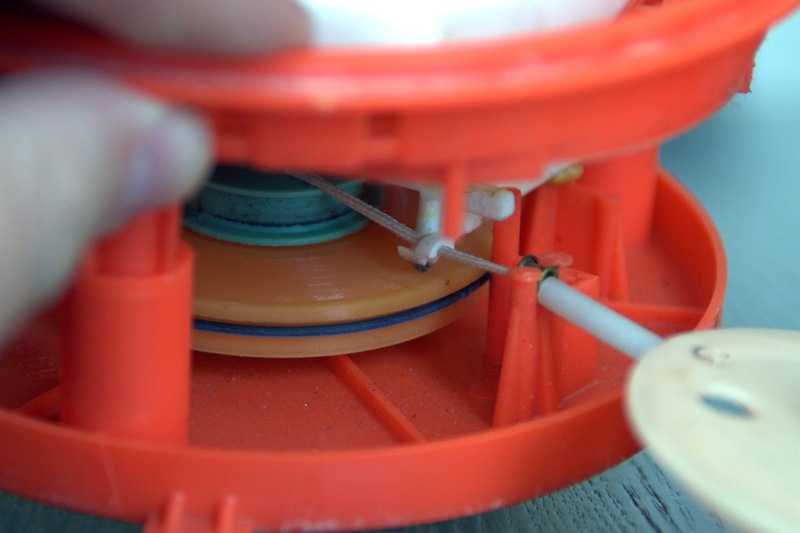 This turns a gear that pulls a string that sets a coil spring to turn the mini record player. 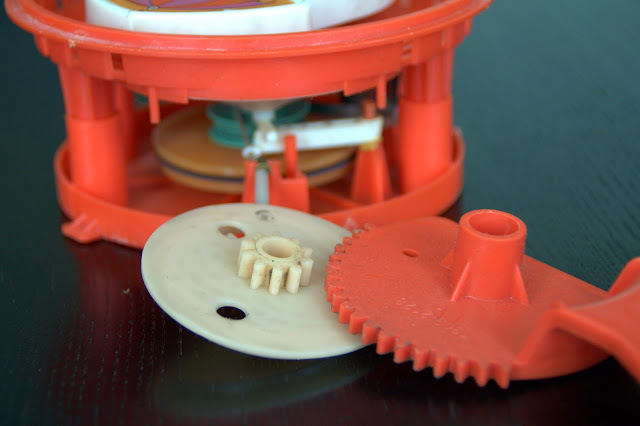 Older models eliminated a step by having the user simply pull the string (I imagine this was discontinued because if the ring on the string got cut off you would lose the string inside the toy). These are the gears that pull the cord. The way the See n' Say works is quite ingenious in its simplicity. 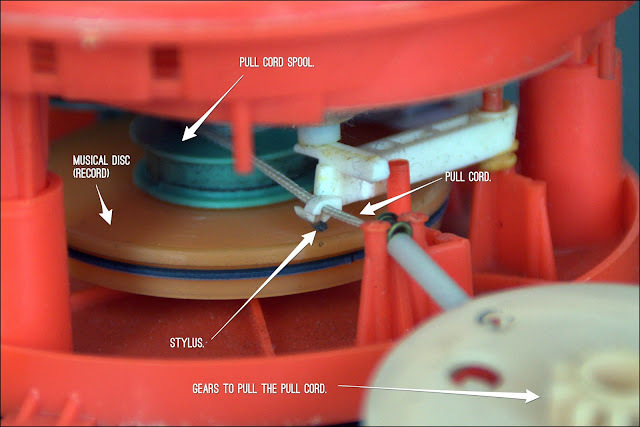 First, you pull the cord (or the lever); this lifts the stylus (needle) from the disc and spring loads the toy. Once the tension is removed from the cord, the stylus rests on the disc and finds the groove while the disc turns. This is the same basic concept as a record player. So how does the See 'n Say get so loud? The plastic piece that the stylus is connected to has a cone resting on it. The cone amplifies the volume essentially the same way a speaker makes sound. The musical disc is connected to a counterweight by a rubber belt. 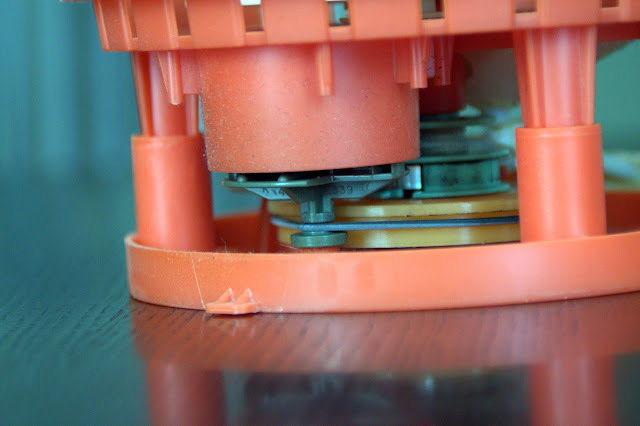 The purpose of this counterweight is to ensure that the disc spins at a fairly regular speed so that it does not sound excessively warbled. The last mystery took me a while to figure out. Just how does the See n' Say know which song or musical clip to play? 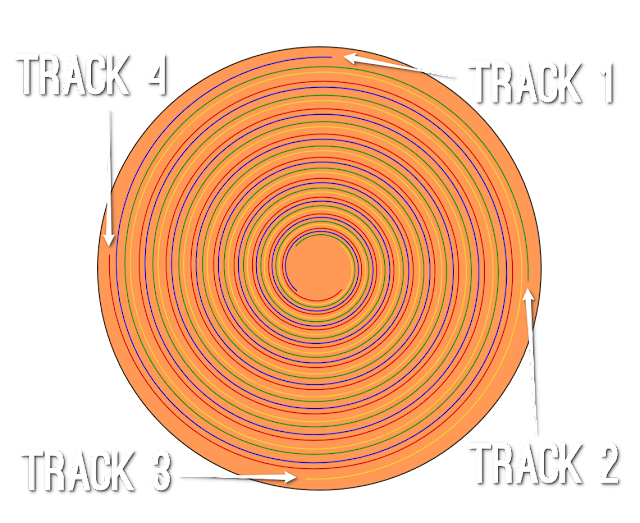 If you are familiar with a vinyl records then you are aware that each song is connected by one continuous groovy. The songs must be played in order or you manually have to move the needle to where the song is. This is where the See 'n Say differs. On the See 'n Say, each musical clip has its own independent grove. Look at the illustration below to see how this works. In the illustration above each track is represented by a color. 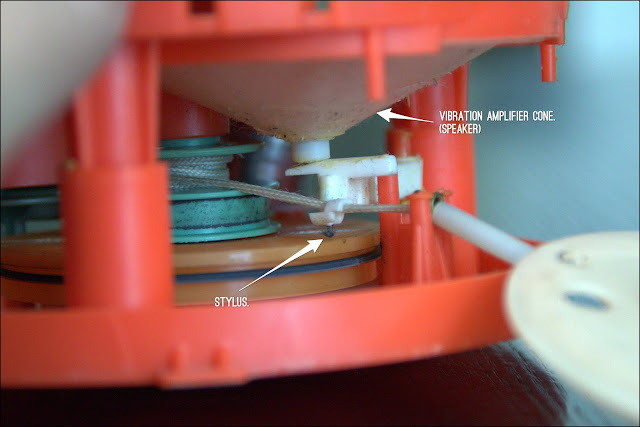 Because the record grooves are done in this manner, the See 'n Say is able to play the correct track in relation to where the stylus is dropped. Pretty amazing toy if you ask me!